Computer graphics systems are capable of generating stunningly realistic images of objects that have never physically existed. In order for computers to create these accurately detailed images, digital models of appearance must include robust data to give viewers a credible visual impression of the depicted materials. In particular, digital models demonstrating the nuances of how materials interact with light are essential to this capability. Digital Modeling of Material Appearance is the first comprehensive work on the digital modeling of material appearance: it explains how models from physics and engineering are combined with keen observation skills for use in computer graphics rendering. 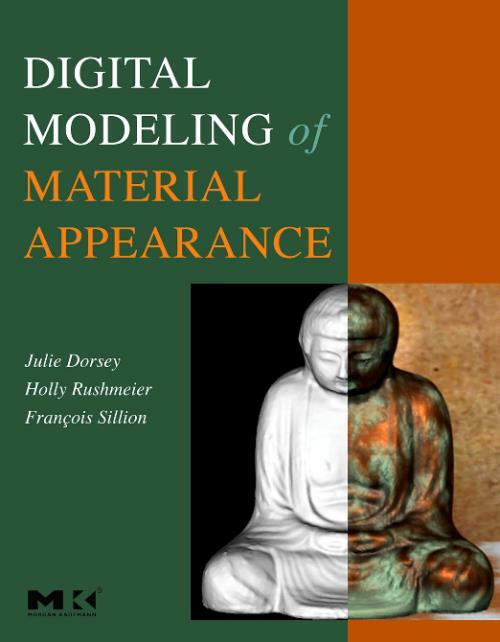 Written by the foremost experts in appearance modeling and rendering, this book is for practitioners who want a general framework for understanding material modeling tools, and also for researchers pursuing the development of new modeling techniques. The text is not a "how to" guide for a particular software system. Instead, it provides a thorough discussion of foundations and detailed coverage of key advances. Practitioners and researchers in applications such as architecture, theater, product development, cultural heritage documentation, visual simulation and training, as well as traditional digital application areas such as feature film, television, and computer games, will benefit from this much needed resource. ABOUT THE AUTHORS Julie Dorsey and Holly Rushmeier are professors in the Computer Science Department at Yale University and co-directors of the Yale Computer Graphics Group. François Sillion is a senior researcher with INRIA (Institut National de Recherche en Informatique et Automatique), and director of its Grenoble Rhône-Alpes research center.